Our brunette model type has her portfolio shot at Empire West Studios (EWS). She is trained on how to make exciting, energy driven photographs that show agents what they need to see in order to make a decision. She is also counseled on agency protocol with over 47 years of combined Empire West experience. We then produce and design her portfolio to showcase her talent to impress these agents. At the same time she e-mails her photos with a cover letter to the same agents. Cross-marketing, so to speak. Once interest has been established, our young ingenue has proven that she can model better than most before she even walks through the door and she has an appointment to see the interested agents. She’ll need to sell herself in person but her EWS portfolio will do most of the talking! Which way would you rather do it? Only go into a prospective agent’s office professionally prepared with a great portfolio and with an appointment if you really want results. So visit our website at http://www.EmpireWestStudios.com and call 480-303-9359 to set up your free consultation. EWS Client, Deane Diez, Shoots Sportswear Print Jobs in Utah and New Mexico! This is a testament to the Performance Photography that Empire West Studios uses to make outstanding model and talent photos. 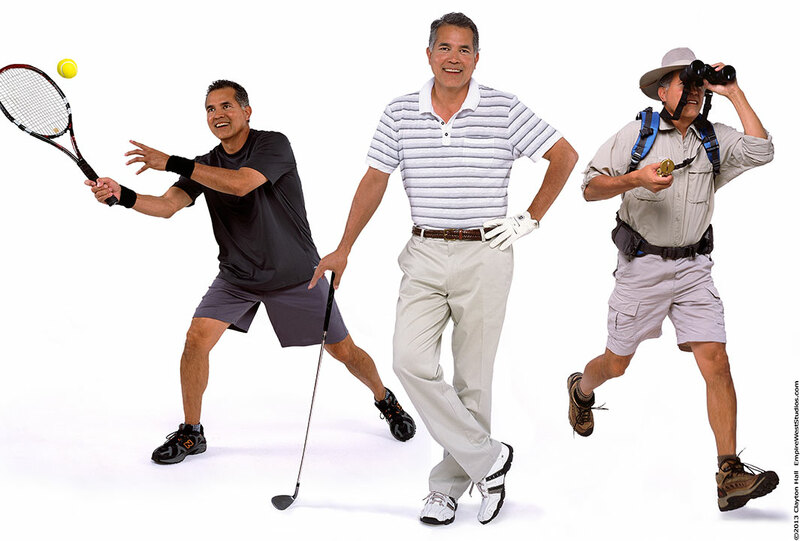 Performance Photography focuses on movement and expression to create photos that show off a model or actor’s talent. These unique photos are designed to help you stand out from the competition and get noticed by agents and industry insiders. 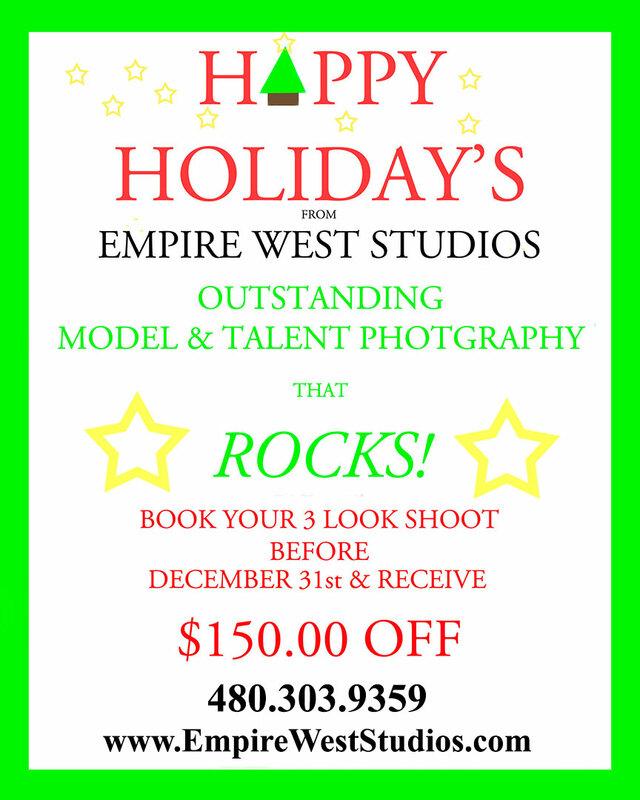 With clientele ranging from New York to Los Angeles, Empire West Studios in Tempe, AZ is regarded as one of the best Model & Talent Photography studios in the nation. If you’d like to learn more about how to get your career started, please visit our website, http://www.EmpireWestStudios.com, then call today at 480-303-9359 for your FREE consultation. Why are Great Photos so important for your Model or Acting Career? Why are Great Photos so important? Simply because Great Photos are the keys that open the door for you! Usually they are the first thing decision makers see before calling you in for an interview or audition and they must have the ability to immediately separate you from hundreds of other photos that they’re sifting through. And, if your photos aren’t impressive, you won’t get called in and you won’t have the opportunity to sell yourself with your talent or unique abilities. At Empire West, we make sure that you have everything you need to achieve success. Taryn’s 3 page “Flash Mob at the Mall” montage is designed to capture an agent’s attention. Portfolios should attract attention and be entertaining to the viewer. 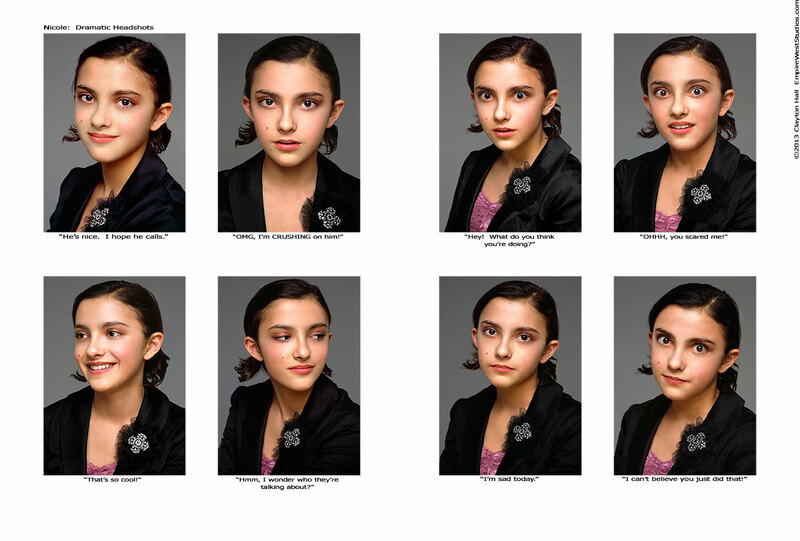 What are Agents and Casting Directors Looking for in a Headshot? The buzz words here are, “…if they could just have helped us out a little…” The point is this, it is very difficult for a casting director, director, producer, etc to cast a dramatic role by looking at a smiling commercial headshot with commercial lighting. Marketing 101 says…Make it easy for them to choose you! You’ll need a series of headshots “in-character” for the types of roles that you want to play. In addition, the lighting and the wardrobe had better set the mood. At Empire West Studios all of our actors are “in-character” for their specialty roles with the lighting and wardrobe designed to complement. So, take a look below. We even shoot actor’s full lengths in-character, making knock out montages, twin sets and film strips to get the agents talking, smiling and signing! 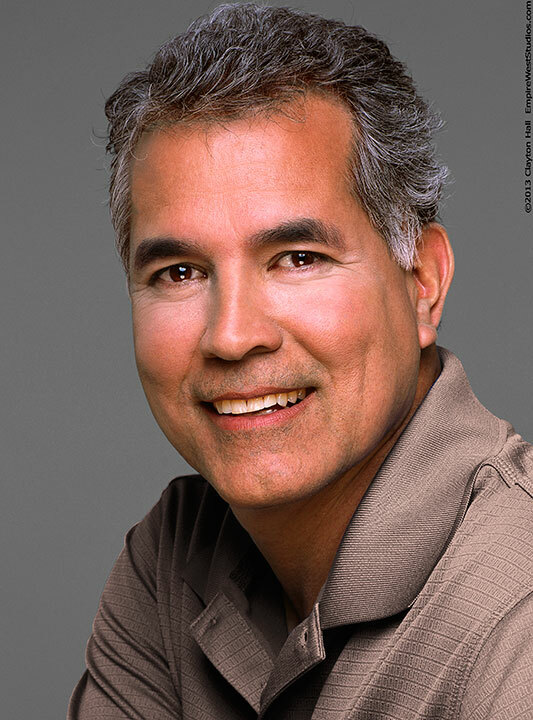 And yes…we do take pride in our smiling commercial headshots. Empire West Studios is in it to WIN it!!! When we first heard about the Mission: Small Business $250,000 Grant opportunity from Chase Bank and Living Social we knew this was for us. However, in order to qualify, we had to acquire 250 votes by June 30th from people like you who believe in supporting Small Business. And YOU certainly came through! Indeed, with YOUR help, Empire West Studios qualified a full day ahead of time! We broke through 250 on Friday at 5:30 PM. By the deadline on Saturday, June 30th, we had a final tally of 257 votes. From the bottom of our hearts we would like to say…THANK YOU. With the help of our supporters, Facebook fans, Twitter Followers, friends and family we reached our goal. The actual $250,000 grants will be awarded to 12 businesses in September but each business had to qualify to be even considered. Because of YOUR HELP and very hard work, Empire West Studios will be considered. Because of YOU we’re in it to WIN it!